Meeting up with Costanza for dinner sometimes can be a major production, especially when all the kiddies are involved. Therefore, we usually eliminate more than half of the restaurants in town as dining options. 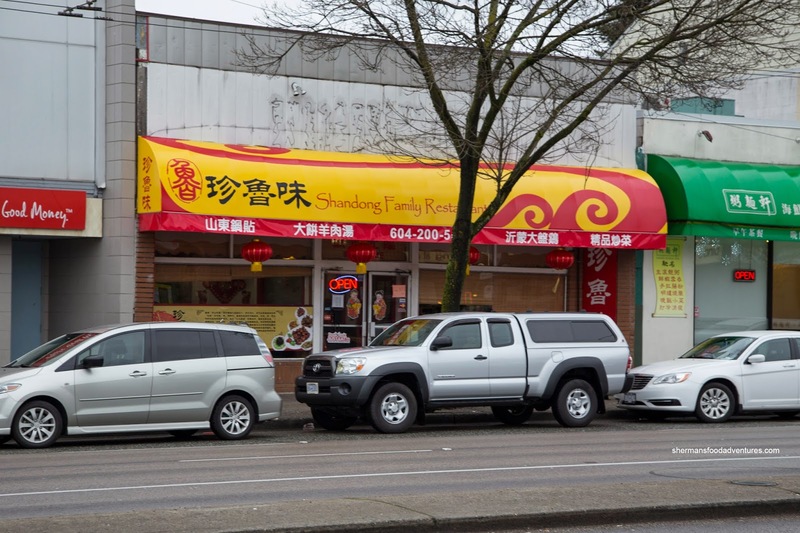 To keep things simple, I suggested Shandong Family Restaurant that is conveniently near their house. Furthermore, I was curious since there are not a lot of Chinese restaurants in town serving up Shandong cuisine. 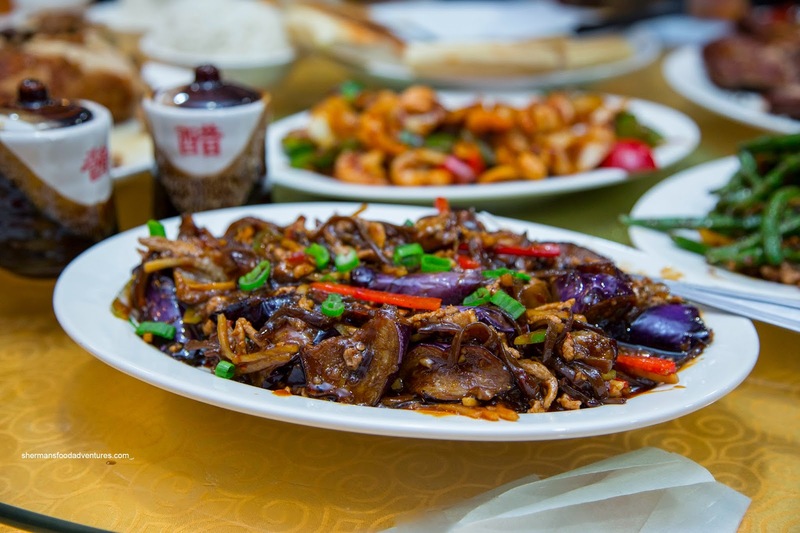 Although their menu incorporates many other regions, it's nice to see it represented since Shandong cuisine is considered one of the 8 culinary traditions in China. 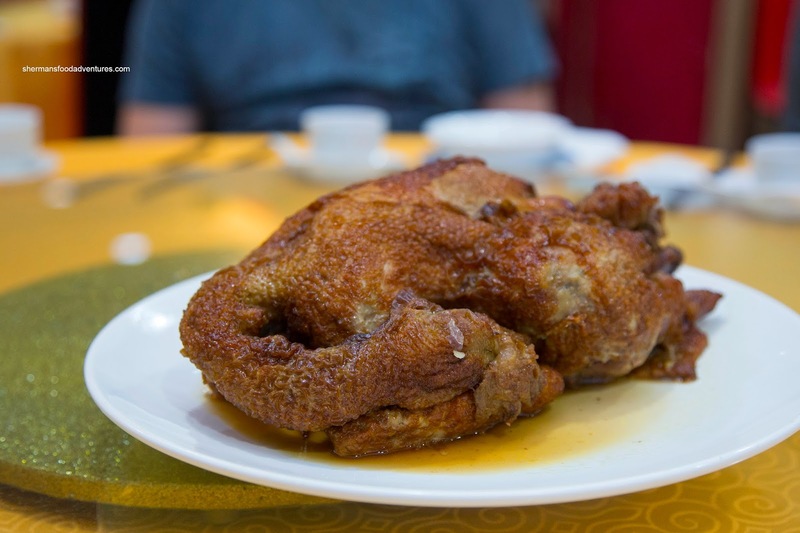 On their recommendation, we tried the whole Dezhou Braised Chicken. Due to the deep fry prior to braising, the skin had a golden hue. I would've liked even more colour but it was not pale by any means. The meat itself was relatively tender, but did not shred as easily as promised. It was quite mild in flavour with a definite hit of 5-spice, soy and ginger. The kids seem to like this dish. 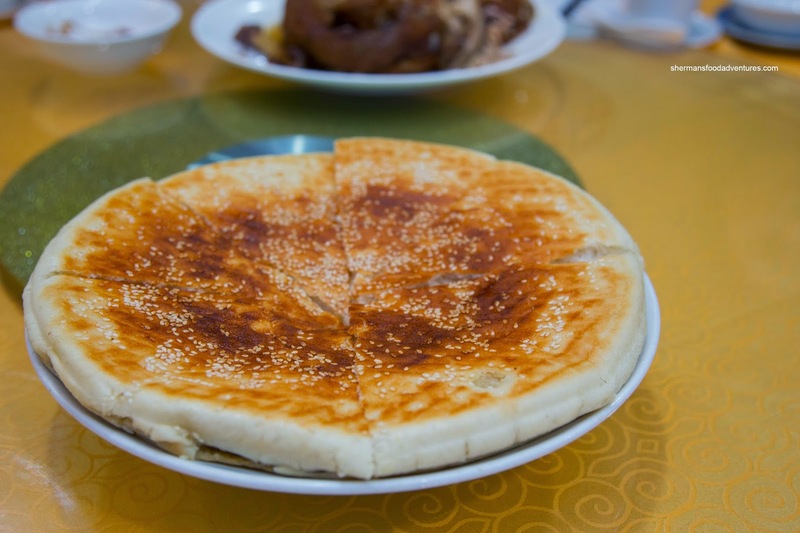 Next, we had the Shandong Pancake with sesame seeds. This was toasted up a nicely where it was slightly crisp on the outside. On the inside, it was a bit more dense than I would've liked, but again, the kids liked it. 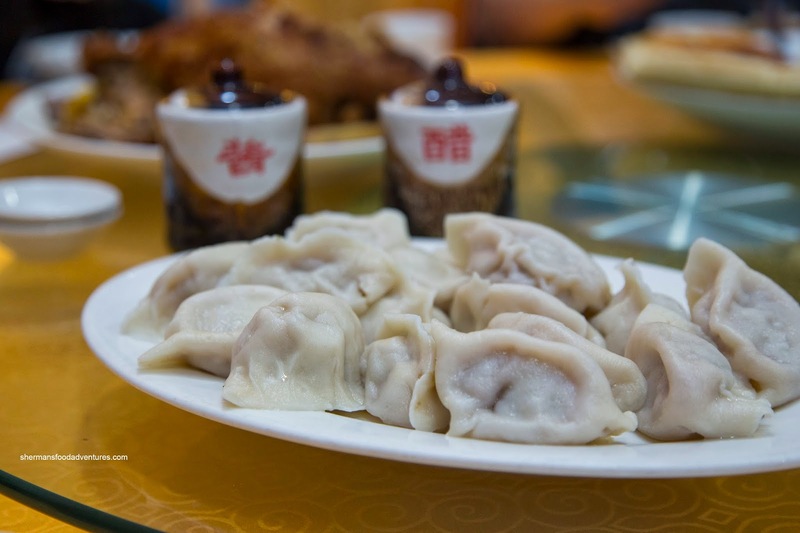 The most memorable dish was something seemingly simple - the Boiled Pork & Cabbage Dumplings. These were fluffy and light despite the visuals. Inside, the meat was soft, loose and mixed with a proper amount of cabbage (that still had texture). Best of all, there was a significant amount of soup inside the dumpling. We liked it so much, we got an extra order as they went fast. We also tried the Crisp Fried Duck which arrived in a rich dark hue. This was personally my favourite as the skin was mostly rendered (except for the breast meat) and somewhat crisp. The meat itself was moist and tender while being well-seasoned, but not salty. 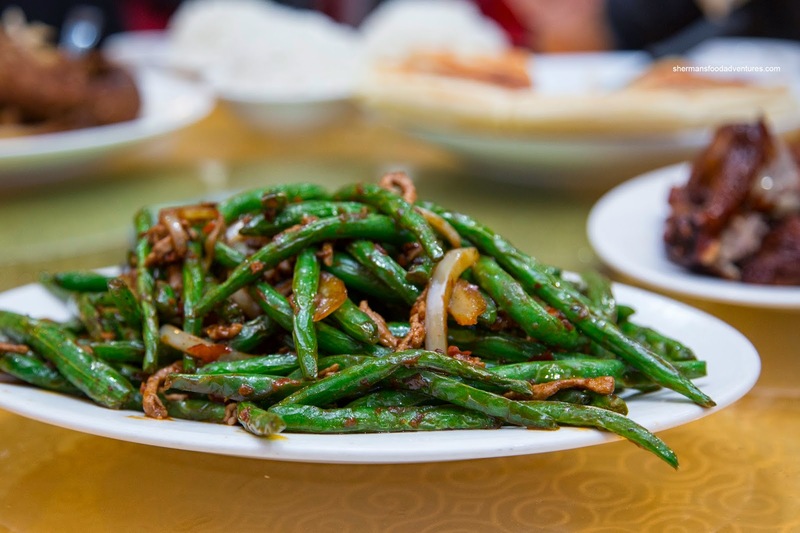 To get some veggies into our diet, we had the 4 Seasons Green Beans. We found the beans were a bit old, hence there was some chewy parts despite being oil-blanched a tad too long. In terms of visuals, we would've liked more colour as it was quite pale. Taste wise, it wasn't lacking in savouriness while there was some spice as well. We also added the Braised Eggplant. This dish looked flavourful and indeed it was. There was a good mix of savoury, sweet, tart and a touch of spice. It would've been even spicier if we had not requested it to be prepared mild. Texturally, the eggplant was quite soft, but it wasn't completely mushy either. 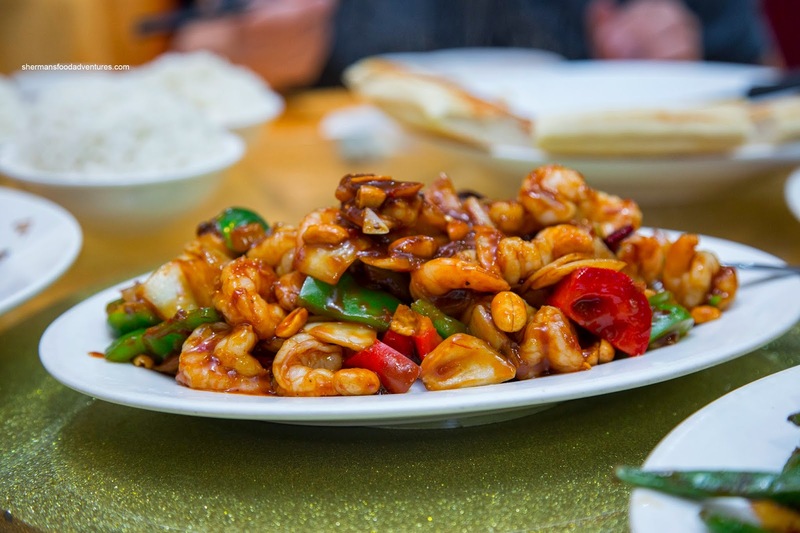 Lastly, we had the Kung Pao Shrimp which was not lacking in ingredients. In fact, it was predominantly shrimp with peanuts, peppers and onions. This was spicy, yet not overly so. Hence, we could still taste the individual ingredients. I thought the shrimp were prepared properly as they had a nice snap and were de-veined (and butterflied). 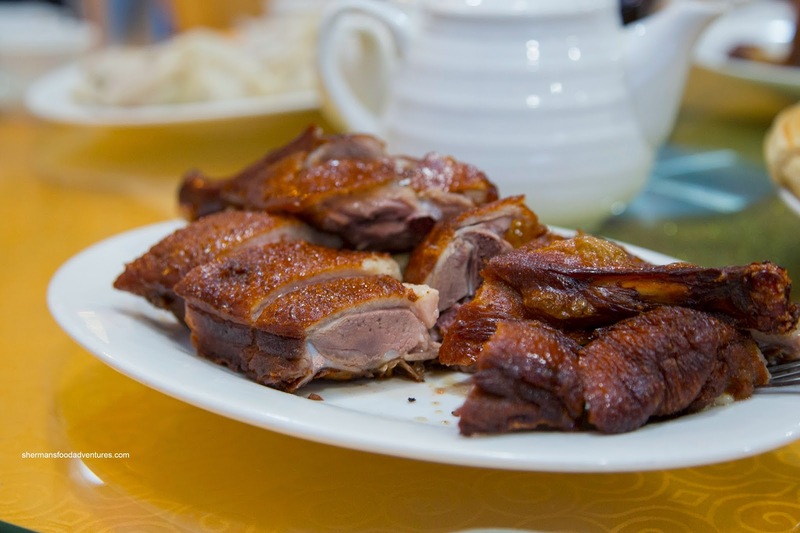 Despite ordering a few dishes that are more representative of other Chinese cuisines, the chicken and duck highlighted the braising and deep-frying which is synonymous with Shandong cuisine. In that sense, the meal was both interesting with some hightlights. @MVP Yah, the chicken was still not my favourite. The meat was not that appealing.